Paul Epstein, ND is a Naturopathic Physician, mind-body therapist, meditation teacher and speaker. He specializes in mind-body integrative medicine and the clinical and therapeutic application and integration of mindfulness practice and Buddhist perspectives in health and healing, transforming stress, pain, and illness into a journey of self-healing and awakening. He is on the faculty of AIHM, the Association for Integrative Health and Medicine. Paul completed the first Community Dharma Leaders (CDL) teacher training joint program of Spirit Rock and Insight Meditation Centers, trained at the Academy for Guided Imagery, and has trained in the Internal Family Systems Model of Psychotherapy, and is a certified yoga teacher. 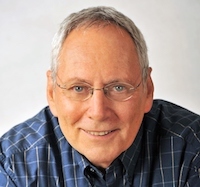 He founded and led the Insight Meditation Community of Fairfield County, and co-founded and co-directed the Israel Center for Mind-Body Medicine. Paul leads mindful healing training, workshops and retreats worldwide, mentors health professionals and is in private practice in Westport, CT and is the author of Happiness through Meditation.